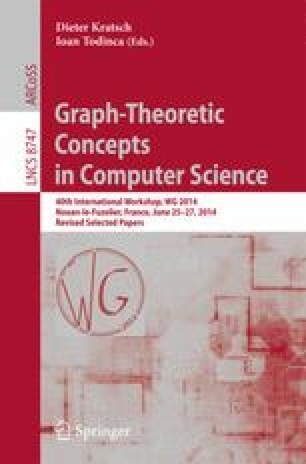 A set of vertices in a graph is connected if the set induces a connected subgraph. Using Shearer’s entropy lemma, we show that the number of connected sets in an \(n\)-vertex graph with maximum vertex degree \(d\) is \(O(1.9351^n)\) for \(d=3\), \(O(1.9812^n)\) for \(d=4\), and \(O(1.9940^n)\) for \(d=5\). Dually, we construct infinite families of generalized ladder graphs whose number of connected sets is bounded from below by \(\varOmega (1.5537^n)\) for \(d=3\), \(\varOmega (1.6180^n)\) for \(d=4\), and \(\varOmega (1.7320^n)\) for \(d=5\). K.K., M.K., and J.K. supported by the Academy of Finland, grants 125637, 218153, and 255675. P.K. supported by the Academy of Finland, grants 252083 and 256287.